I have been working with CNTL for the past 7 years. Being a Local Chairperson for last 4 years, I have served my members' with honesty, Integrity and dedication. I have negotiated with the Company on every aspect for the betterment of our Terminal, such as contribution in the growth of Owner Operators from 55 to 150, and having the Company pay top dollars for Local and Highway moves, of which were some of the lowest paid in Canada. To continue this work, I need your support to represent Western Canada on the bargaining process for our upcoming renewal of a new contract. 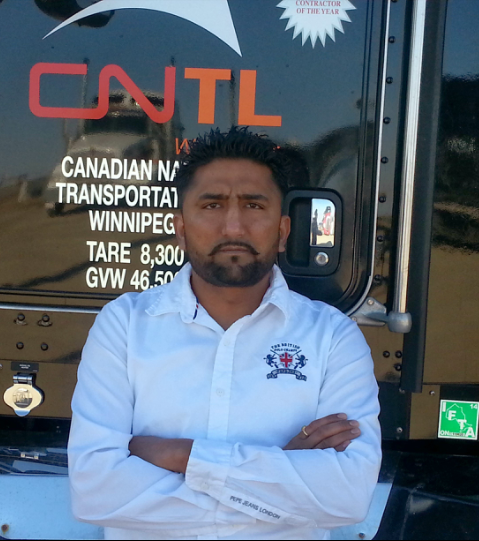 My name is Sandeep Singh, and I work with CN and CNTL from Edmonton, Alberta. I am presently the Chief Shop Steward with Unifor Local 4001 representing the CNTL Edmonton Owner Operator membership. I also sit as an Executive Board member on the Local 4001 Executive. I am running to serve as your bargaining representative and am seeking your vote. I want to bring our issues to the bargaining table with management. * I speak English and Punjabi. As we all know, bargaining is around the corner and I am looking for a fair settlement that will benefit all members across Canada.